The current log is generic_csv01.txt and writes happen to this log. A new log, generic_csv02.txt, is created. Writes occur to this log. When the next line is written to generic_csv01.txt, the Operations Manager will read from the beginning of generic_csv.txt, not from the last point that was read from generic_csv01.txt. Lines previously processed will be processed again, possibly resulting in alerts or other actions (depending on the rule configuration). 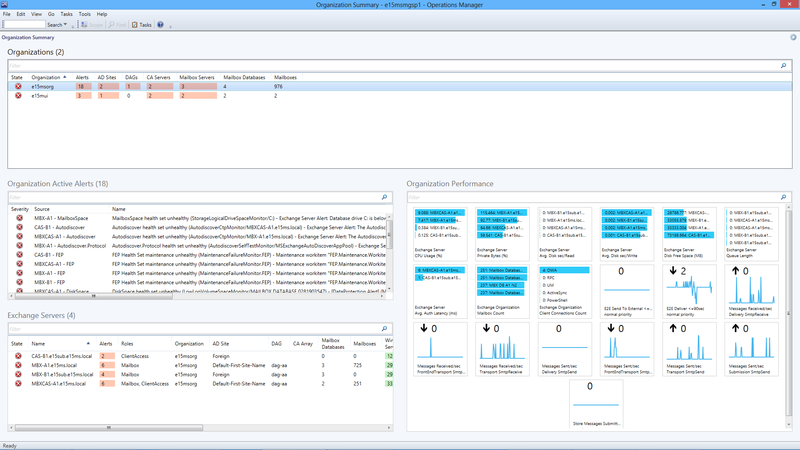 Yesterday Microsoft released a new version for the Exhange 2013 management pack. The new version is 15.0.652.19. More information on the management pack can be found on the Operations Manager Engineering Blog here. More information on the changes can be found in the original post on the System Center: Operations Manager Engineering blog. As an Operations Manager specialist I use quite some tools for my daily tasks. In this post I would like to share some of those tools with a small motivation. The OpsMgr 2012 Sizing Helper is an interactive document designed to assist you with planning & sizing deployments of System Center 2012 Operations Manager. It helps you plan the correct amount of infrastructure needed for a new OpsMgr 2012 deployment, removing the uncertainties in making IT hardware purchases and optimizes cost. A typical recommendation will include minimum hardware specification for each server role, topology diagram and storage requirement. With OpsMgr PowerShell is also a must. The Windows PowerShell Integrated Scripting Environment (ISE) is a host application for Windows PowerShell. In Windows PowerShell ISE, you can run commands and write, test, and debug scripts in a single Windows-based graphic user interface with multiline editing, tab completion, syntax coloring, selective execution, context-sensitive help, and support for right-to-left languages. You can use menu items and keyboard shortcuts to perform many of the same tasks that you would perform in the Windows PowerShell console. For example, when you debug a script in the Windows PowerShell ISE, to set a line breakpoint in a script, right-click the line of code, and then click Toggle Breakpoint. XML editing is something that I do on a regular basis. This because XML is the language the management packs are built in. If I do some small adjustments I like to do this in a pleasant way. Notepad++ comes in very handy.. This tool made by Boris Yanushpolsky is one I almost use every day. It gives a very good view on what’s is in a management pack. It support .MP,.MPS and XML files. A handy feature is that the MP content can be export into readable content. Also a tool made by Boris Yanushpolsky. This tool gives a quick overview on the configured overrides in the management group. You can see the target and destination management pack. You even have the option to move the overrides to another management pack. There has been some errors reported on the moving option so be carefull with this. This is a free tool for building simple management packs. MP seal is a tool for sealing management packs. SN.exe is a tool for creating a key that is needed for sealing the management pack. Most authoring tools can seal mp’s too. A good example on how to use these two tools is written by Jonathan Almquist. Data Warehouse Data Retention Policy. With this tool you can change the retention time for the Data Warehouse data in an easy way. Just start the tool form a command line and make the required changes. More info on how to use the tool can be found on the Operations Manager Team Blog site. 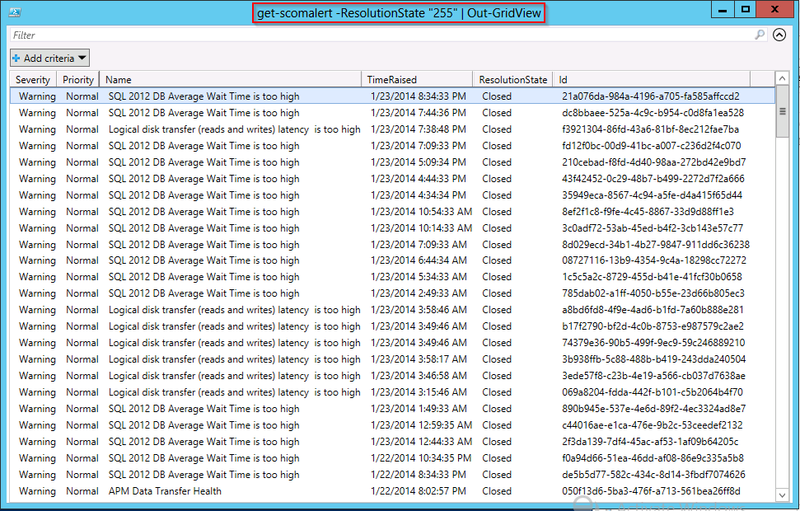 Just ran into a problem where i found agent on Server 2012 R2 failing to heartbeat. When checking the Microsoft Monitoring Service was running correctly. Even after removing the health cache the problem keeps occuring. I ran into the an article from Kevin Holman who has done some investigation on this.